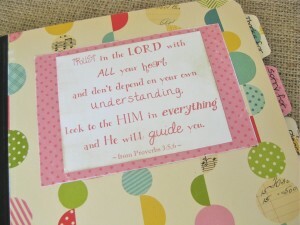 Final Day to enter the Throne of Grace Mustard Seed Prayer Journal Giveaway!! Happy Labor Day! We pray this finds you enjoying a little extra R & R today…hopefully giving you a little extra time to join us in prayer at the throne of grace today! Praise the Lord with us for his provision for housing when Throne of Grace travels to Arizona for the Believe Boutique November 1st – November 4th. We’ve been given a hotel room for three nights FREE OF CHARGE!! What a blessing! Tami, Deb, and Molly will be traveling this coming weekend with our families for our church’s Family Camp. Please pray for safe travels and that God would use this weekend to refresh our hearts and fill us with great teaching. We will be hearing from Pastor Milton Vincent, author of A Gospel Primer for Christians, so we will certainly come home with much to reflect on and apply! Pray for those who have been devastated by Hurricane Issac in the southeastern U.S. Pray the Lord would use believers in that area to be His hands and feet and meet both the practical and spiritual needs of those around them. Pray that those who have lost all hope would find renewed hope in Jesus Christ. 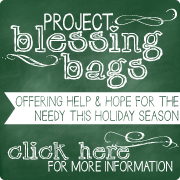 It’s great to be able to lift up these needs together with you! As always, we’d love to know if you are praying with us today. Please leave a comment below! 1. In order to be entered into the giveaway this week to win one of our fabulous Mustard Seed Prayer Journals designed for kids (but also great for adults who like to keep things simple! ), you MUST be subscribed to receive the Throne of Grace posts by email. To do that, just enter your email address in the box at the upper right of the homepage, then be sure to follow the simple instructions to confirm your subscription in the follow-up email you will receive. would like to see yourself grow in? 3. Contest ends at 9 pm (PST) TODAY, Labor Day. One winner will be selected at random among all our blog subscribers, with an extra entry added for each comment shared on the blog this past week. Winner will either be reimbursed the purchase cost of a Mustard Seed Prayer Journal (if a purchase has already been made) or receive a Mustard Seed Prayer Journal made to order! Winner will be announced on the blog and on our Facebook page on Tuesday, September 4th. Now GO…spend some time with us in prayer…then get your name in the hat! I don’t mind getting the ball rolling! Even though the Lord has given me a ministry based on prayer, I still find that I have so much to learn about this area of my walk with God. One weakness I’m specifically seeking to grow in is praying bolder prayers – prayers that require FAITH to pray! I struggle with that, too. And I think what I struggle with in prayer depends on the day. Often times, I lack focus (which my prayer journal helps with…shameless plug). 😉 On other days, I don’t spend enough time repenting of my sins, or even recognizing where I’m sinning. Thank God for His grace, love, and faithfulness to me…a weak and sinful follower of Christ.